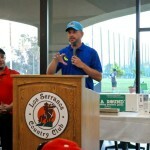 Held a successful golf tournament, the Southern California Charity Golf Classic where we raised $7,591.81 for charity. Named Chairman of the Board for the Chino Valley Chamber of Commerce. 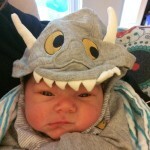 And became a dad to my amazing son, Sebastian. Zeb Welborn talks with successful people about what makes them successful and why some succeed when others fail. 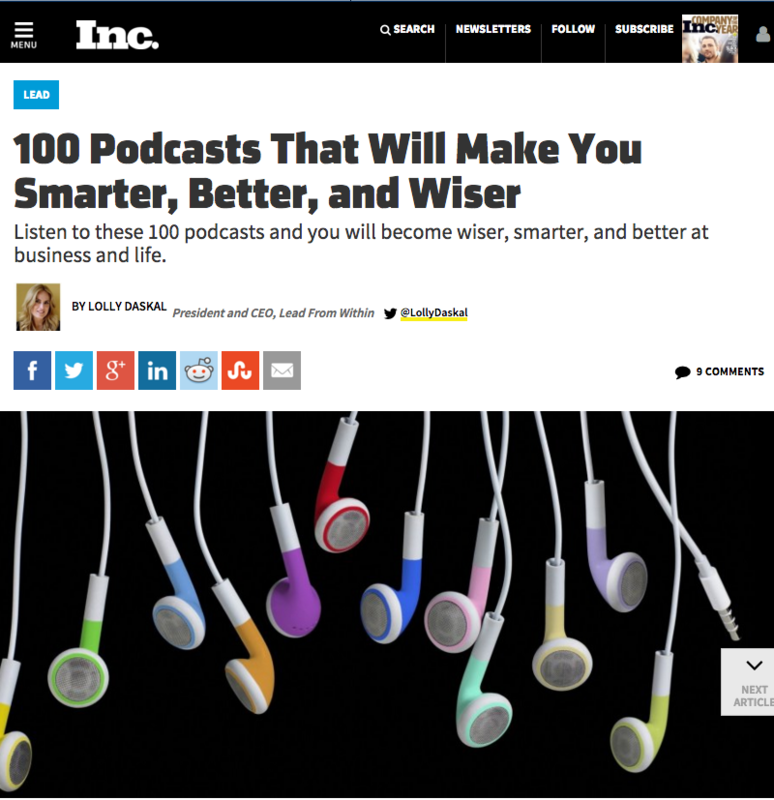 We’re honored to be included in an article with some people whom I appreciate, admire and respect greatly, podcasters like: John Lee Dumas, John Corcoran, Seth Godin, Michael Hyatt, John Jantsch, Derek Halpern, Amy Porterfield, Lewis Howes, Pat Flynn, Erik Fisher, Tim Ferriss, Michael Stelzner, Chris Ducker, Jaime Masters, Michael O’Neal and Gary Vaynerchuk were all included on the list. So many podcasts on this list inspired me to start the Defining Success Podcast. And the people leading these podcasts inspire me to work hard helping others, to do what I love and to find success while doing it each and every day. If you’ve been drawn to our website from Inc. Magazine we recommend listening to these episodes to get a good sense of what The Defining Success Podcast is about. Larry Welborn had a 43-year career as the legal affairs reporter for the Orange County Register, in which he covered many high-profile cases and showed a high level of enthusiasm and dedication in every story he covered. Since 1981, he has also been the chairman and president of CSPA, which is preparing for its 64th-annual high school journalism workshop on the campus of Cal Poly, San Luis Obispo. Chris Brogan has been in the online world for sometime now and he’s learned that in order to be successful online you must be of service to others. If you’re willing to go the extra miles to help others, you will be successful in the online world. Chris Brogan is CEO and President of Human Business Works, an education publishing and media company dedicated to helping professionals work better, do the work they want and to be brave. He is the NY Times best-selling co-author of the Impact Equation. Shelly Ehler is the passionate and inspiring owner of the ShowNo Towel. In her interview Shelly shares the lessons she has learned through her journey as an entrepreneur and how they have impacted her and continue to foster success in other professional and personal aspects of her life. Shelly’s product the ShowNo Towel has been featured on the Today show and on the hit T.V. show Shark Tank. David Meerman Scott is a marketing strategist, advisor to emerging companies, best-selling author of eight books including three national best-sellers, and a professional speaker on topics including marketing, leadership, and social media. In Episode 46 of the Defining Success Podcast, David shares his ideas on real-time marketing and how you can use it to help your business grow. Dr. Nick Morgan is one of the top experts on body language and how to make sure it conveys the message you are trying to convey. Dr. Nick Morgan owns Public Words, a company that is helping to create strategies for people who want to become professional speakers. Michael Kawula talks about Help a Reporter Out, also known as HARO. He has bought and sold several different businesses. The last two companies Michael has started have both grown to Million Dollar plus businesses in under three years. Robert Coorey is the author of Feed a Starving Crowd, More than 200 Hot and Fresh Marketing Strategies to Help you Find Hungry Customers. The book covers more than 200 ways businesses have become successful marketing their products or services in today’s economy. Learn how to feed a starving crowd in Episode 110 of the Defining Success Podcast. In this interview Jake and I talk about going after your goals. Jake Bramante traveled all 734 miles of hiking trails at Glacier National Park in one year, 2011. He shared the experience of going after his goals on his blog Hike734. We discuss what it means when you cross the finish line. When you set out on a goal and you do something, what that means for you as a person and what happens when you don’t. John Corcoran knows how to connect with influential people. He has worked in the White House, has met presidents, has his own law firm, there are so many different things this guy has done. He’s great at networking with very important people. He has lots of tips and information on how we can network better. Dr. Maisel shares his thoughts on creativity and how developing a process and sticking to it regardless of outcomes can help you become creative. The struggle with many creative people is they expect something to happen when they create and when the outcome doesn’t match their expectation they get discouraged. Don’t get attached to outcomes. Learn how to explore your creativity in Episode 62 of the Defining Success Podcast. 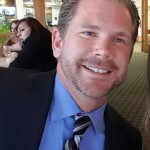 This entry was posted in Press, Welcome to the Defining Success Podcast, Zeb Welborn on Success and tagged Better, Chino Valley Chamber of Commerce, Defining Success, Defining Success Podcast, Golf Tournament, Inc., Inc. Magazine, Podcasts, Smarter, Southern California Charity Golf Classic, Wiser on December 15, 2015 by Admin.